Founded in Central Illinois in April of 1984, R&R General Contractors began as a basic labor workforce, serving mainly food processing plants in Central Illinois. In December of that year, brothers Richard A. Betterton and Lloyd J. Betterton, saw the potential in their growing business and incorporated to become R&R General Contractors, Inc.
What started as 10 employees quickly grew. 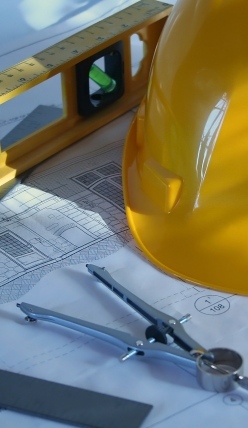 In 1985, R&R began offering skilled labor in all crafts, and became a full service General Contractor in 1986, and now has over 300 employees. Ownership being kept within the family has resulted in continuity and employee loyalty. Our upper management averages over 20 years with the company. R&R is very proud of the fact that over 50% of our work staff has been with us over 10 years and advanced in their careers as we have grown with them. R&R's main offices are in Mt. Zion, Illinois. 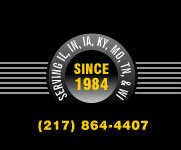 In 2007, R&R opened a second office in Clinton, Iowa, and recently, R&R has expanded into Indiana, Kentucky, Missouri, Tennessee, and Wisconsin. With over 100 years of the owners' combined experience, R&R has built a company and a reputation that exemplifies a true family business that has grown steadily through hard work and a dedication to quality, safety and providing customers with unmatched value and service.